LITERARY TRANSLATION IS A mysterious form of writing that I love for its mandate: rewrite a Russian book in English so it represents the author’s Russian text. There’s no plotting. No character development. Just the fun of choosing and ordering words as I torment myself over what “represents” means for each book. 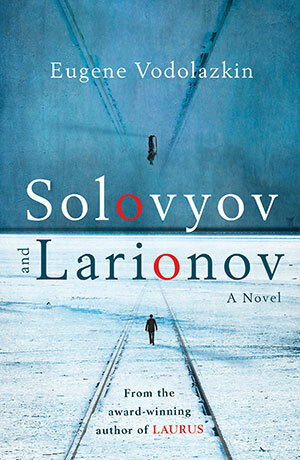 I operate very intuitively and find novels with strong narrative voices particularly appealing; this made the unique textual logic of Eugene Vodolazkin’s Solovyov and Larionov a perfect fit. Vodolazkin’s narrator describes two historical periods that intersect, employing a style that’s almost formal but tempered with plenty of humor. Laughing as I read Solovyov was my first hint that I wanted to translate the book, though I confess to wondering what I’d do with the dozens of footnotes Vodolazkin includes to portray—very successfully, to wonderfully comedic effect—an attribute of academic writing. Solovyov, you see, is a graduate student, and he’s studying Larionov, a civil war general. Selecting words and phrases is an almost physical process that resembles grasping at shadows. I know there’s a word or phrase in some dark, vacant corner of my consciousness, but as I page through dictionaries and thesauruses—or stare out the window at squirrels—I often get tangled in sticky cobwebs. Sometimes the search for a word or phrase extends well into the editing process. One of my favorite aspects of Vodolazkin’s books is that he leaves space for the reader’s imagination. As a little boy, General Larionov likes to “traverse the room on his left leg,” imagining he has a wooden leg like his veteran great-grandfather’s. Oneworld’s fantastic editors, whom I love working with—their edits and queries clean up my manuscripts tremendously and save me from all sorts of embarrassing textual blunders—suggested (very understandably) verbs like “hop.” But I wanted a less jumpy word so the reader would create a picture, even a scene, with Larionov. Of course my options got physical at the home office as I agonized over the decision: I imitated the boy, sometimes even hopping, before picking “traverse” to correspond to the Russian verb. 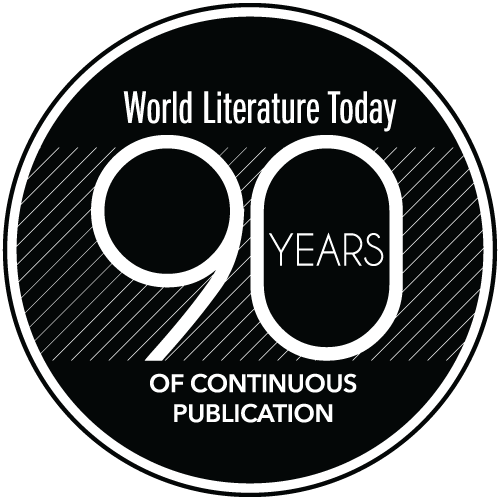 Editorial note: Read the featured review of Solovyov and Larionov from this same issue. Lisa C. Hayden’s translations include Eugene Vodolazkin’s The Aviator, Solovyov and Larionov, and Laurus, which won a Read Russia Prize and was shortlisted for the Oxford-Weidenfeld Translation Prize, for which her translation of Vadim Levental’s Masha Regina was also a finalist. Lisa’s blog, Lizok’s Bookshelf, focuses on contemporary Russian fiction.